19th July – Does Bedside US Measurement of the IVC Diameter Correlate with CVP in the Assessment of Intravascular Volume in Children? Can we use bedside ultrasound measurement of IVC diameter as a proxy for fluid status (as determined by CVP measurement) in children? Test of interest: beside US measurement of IVC diameter and calculation of IVC/aorta ratio, defining dehydration as “collapsability index of 50% or greater and an IVC/Ao ratio of 0.8 or less.” Diameter measured in subxiphoid sagittal and subxiphoid transverse views. 72 eligible patients of whom 51 enrolled to the study. Sagittal view was obtained in 100%, transverse view in 84% of subjects. We did not find a correlation between the 1-point measurement of either the collapsibility index or the IVC/Ao ratio and CVP measurements in critically ill paediatric patients. This paper is an interesting one; the use of ultrasound to determine the need for and response to fluid resuscitation is controversial in adult patients, so it is not surprising to see that the uncertainty about clinical usefulness translates to paediatric practice. In addition, assessment of hydration/dehydration in children is notoriously difficult and the search for objective measures which reflect clinical endpoints is clearly relevant. This paper is an observational study which means that there was no change made to the patient’s care in response to the measured data. 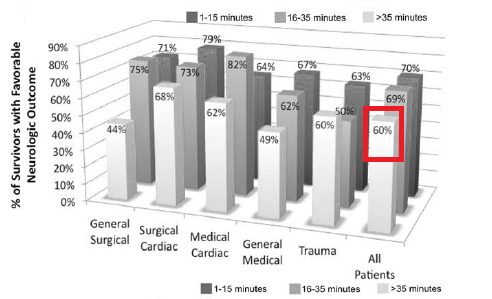 The population may or may not reflect our ED patients; by definition, patients already admitted to PICU (at least in the UK) have usually a) been unwell for some time and b) had some level of resuscitation – so it is difficult to know how their volume status might be affected by preceding use of fluid boluses (particularly if hypertonic solutions were used). 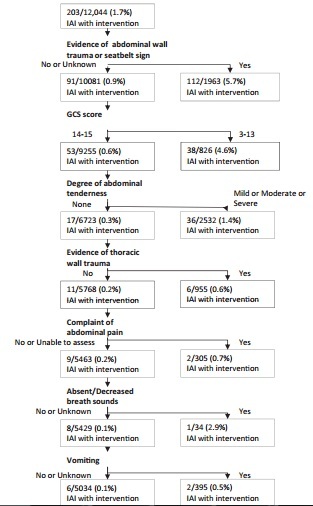 That said, the vast majority of critically ill paediatric patients in the ED do not have central access amenable to CVP monitoring and there are obvious issues with designing a study which necessitates insertion of CVCs which might not be necessary (unethical) or are going to be inserted in the ED (impractical – numbers likely to be very small). 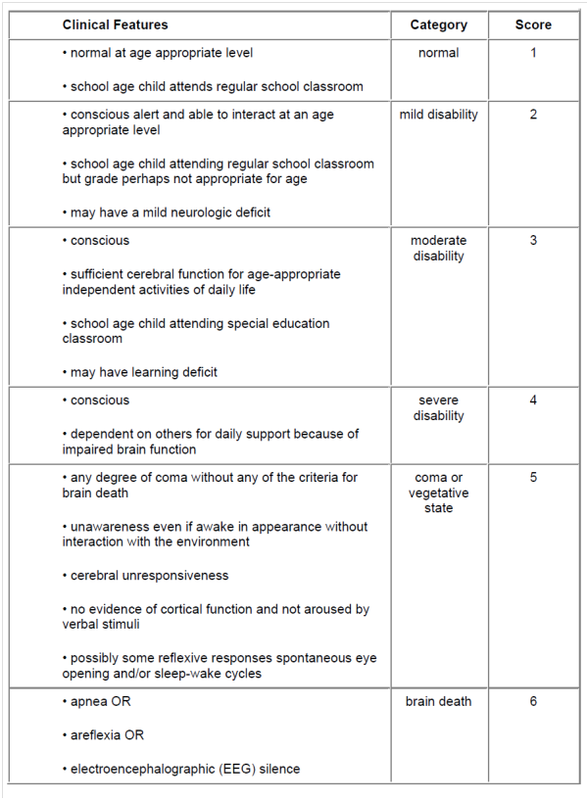 The fact that the recruitment was a convenience sample also reflects the otherwise small numbers and unpredictable nature of critical illness in children and while a more robust sampling method would be preferable, convenience sampling is often seen in studies where a single investigator has a particular skill set necessary for the collection of study data. A bigger problem is the use of CVP as a marker of haemodynamic status; although it is frequently measured in the ICU and PICU, it is notoriously poor at reflecting volume status as a single measure and demonstrating clinically relevant response to fluid bolus when measured continuously, as raised in this review paper from 2008. So the study is comparing a questionable method of determining fluid status with one which is equally questionable – not exactly a great starting point. Perhaps a longer term outcome – such as fluid balance over the subsequent 24-48h, urine output, need for fluid boluses – might have given a clearer and more reliable picture. There was also little consistency between the patients; CVC measurement occurred at a variety of anatomical sites and there was no correction or account taken for other variables which might affect CVC readings (such as abdominal surgery or positive pressure ventilation). This is a great opportunity to revise correlation! There’s a great wikipedia article on Spearman’s rank correlation coefficient here, but essentially correlation measures the level of interdependence between two non-parametric variables. It tells us whether as one variable increases, the other increases, and the strength of this relationship. In the paper, both correlation co-efficients quoted in the results section were negative, suggesting that as CVP increases the IVC variable (IVC/Ao ratio or collapsibility index) decreases, and vice versa. The small numbers (-0.11 and -0.23) imply a near random relationship (remember, the nearer the correlation coefficient is to zero the less related the two variables appear to be; the nearer to 1 or -1, the stronger the relationship and the more predictive one variable is of the other). The performance characteristics (sensitivity, specificity, NPV and PPV) for both US-calculated variables were poor. However, there are very small numbers here; of the 52 children included, only 21 actually had a CVP <8mmHg (the cutoff used by the authors to determine intravascular volume depletion). In any study where such a small number of patient have the target condition we have to wonder whether different patterns might be seen in a larger sample – the probability of a type II error is high. So, assessment of paediatric intravascular volume status remains a mystery for now. Previously published studies have suggested that IVC/Ao ratio is lower in children who are otherwise clinically assessed as being dehydrated and that the value rises following fluid boluses, but we cannot be sure from this current paper that US measurement reflects CVP. Should we use ultrasound to assess intravascular status? This paper finds it a poor proxy for CVP – which again is a poor proxy for volume status. So on the basis of this study – no, but there is clearly more work to be done here. Do serial IVC measurements reflect response to fluid bolus in a clinically meaningful way? Would we see better correlation using a single CVC line site, or excluding “less central” central lines such as femoral CVC? This entry was posted in PEMLit Notices on July 20, 2013 by PEMLit. Do non-absorbable and absorbable sutures give comparable cosmetic results for repair of simple facial wounds in kids? Results: 98 patients were recruited of whom 49 had closure with FAC and 49 with NYL. 85 were followed-up at 4-7 days (42 FAC,43 NYL) and 76 at 3months in person or by telephone (FAC 37, NYL 39). Telephone follow up did not include VAS score. We are not yet able to conclude that absorbable sutures are equivalent to nonabsorbable sutures with respect to cosmetic outcomes of facial lacerations in children. There is little information on how patients were recruited, but other than the restriction of English-speaking patients inclusion and exclusion criteria seem sensible. The allocation concealment and blinding is helpful in reducing bias, but I would question whether leaving absorbable sutures until completely absorbed is standard practice – it isn’t mine, and therefore this impacts the external validity of the study. 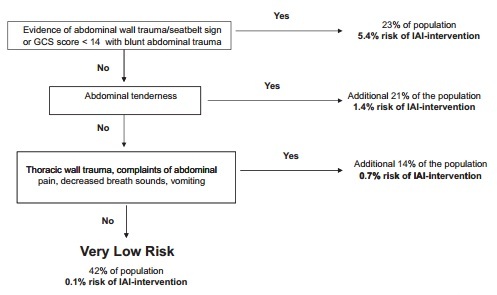 The plan for follow-up at 3/12 seems sensible and is rationalised by the authors but this seems early to fully assess the “long-term” impact of wound closure. While the exact suture material does not necessarily replicate standard UK practice it is reasonable to assume little difference between non-absorbable and absorbable suture material around the globe. The trial is a non-inferiority trial – the aim is to show that using absorbable suture material does not give a perceptibly inferior cosmetic result. The visual analogue scoring undertaken by blinded physicians (and averaged between three scorers) showed not only lower VAS satisfaction scores for the absorbable suture group but a 95% confidence interval which did not cross zero, suggesting the study was unable to demonstrate non-inferiority. The validity of the VAS has been assessed elsewhere but there is a considerable difference between physician and caregiver scores. It is also important to remember that despite sample size calculations which predicted attrition of 40%, only 61/98 recruited patients actually completed the full study protocol and had photographs for assessment by VAS – so the study was insufficiently powered. It appears that if we use absorbable sutures and don’t remove them, there are noticable differences in wound healing at 3/12; there’s insufficient evidence in this paper to convince us that not removing sutures provides a comparable cosmetic result in the first three months. Are there benefits to using absorbable sutures and then removing them (in the same timeframe as we would normally remove non-absorbable sutures)? Would we see non-inferiority at a later review – 18 months after closure perhaps? Would we see non-inferiority in an appropriately powered study? This entry was posted in Critical Appraisal and tagged minor injury, paediatrics, pediatric, suture, wound, wounds on July 5, 2013 by PEMLit. In paediatric patients with hypertrophic pyloric stenosis (HPS), what is the prevalence of abnormal laboratory results? Are these results related to the duration of illness (by duration of vomiting), and is there any time trend in these results? Participants: Patients younger than 6 months, with HPS confirmed on ultrasound or Upper GI series, who underwent pyloromyotomy at a tertiary regional paediatric centre from 2000-2009. 205 patients were included in the study. Their age varied from 1.4 to 13.9 weeks (SD 2.2), with a weight range of 2.1 to 4.9kg (SD 0.5). 88.3% were male. 74.3% were of non-Hispanic ethnicity. 80.5% white race, 1.5% African-American, 1.5% Asian and 16.5% other. The proportion of HPS cases with normal serum CO2 was 62%, low 20%, and high CO2 18%. Potassium was normal in 57%, low in 8% and high in 35% of cases. Chloride was normal in 69%, low in 25% and high in 6% of cases. Logistic regression analysis of the proportion of normal, low and high CO2 over the study period showed an increased in the prevalence of metabolic alkalosis (p=0.009) and a decreased in metabolic acidosis (p=0.002). Advancing age was associated with presence of metabolic alkalosis on presentation with HPS (data not provided). There was no correlation between the number of days of vomiting and abnormalities in electrolytes in this study population. We observed that normal laboratory values are the most common finding in HPS and that metabolic alkalosis was found more commonly in the latter part of the decade and in older infants. This was a retrospective chart review for a 10 year period from 2000-2009. Data from 2000-2002 was combined to increase power because the case numbers in single years were “small and unstable.” It’s not clear what they mean by “unstable” as the raw data is not provided. The authors do not comment on the total number of presentations over the study period, so it’s unclear if any cases were excluded, and reasons for any such exclusions. There is demographic data missing with respect to birth weight (138/205), days of vomiting (196/205), heart rate at presentation (203/205) and weight at presentation (204/205). The latter categories are unlikely to have been affected by this, and it is unclear whether additional data on duration of vomiting would have changed the analysis. Prospective studies have the advantage of more complete data sets, and potential for further variables to be included, however can introduce observation/measurement bias. Normal laboratory values are the most common finding in HPS and therefore serum electrolytes are a poor marker for the presence or absence of HPS. The incidence of metabolic alkalosis increased over the study period, and its prevalence is higher in older infants. They have no explanation for the increase in metabolic alkalosis over the decade of the study. The authors postulate that the latter finding may demonstrate that advanced age at diagnosis serves as a marker for the duration and severity of stenosis. This paper agrees with previous studies that the “typical metabolic picture” of hypochloraemic hypokalaemic metabolic alkalosis in paediatric HPS is no longer seen in the majority of presentations. For us this means that we cannot rely on laboratory results as a marker for hypertrophic pyloric stenosis in infants. We must continue to have a high index of suspicion for this condition in infants presenting with persistent vomiting and proceed to ultrasound for diagnosis. Although laboratory results don’t help us decide which children need ultrasound, it is important to look for metabolic derangements and correct them as indicated. What this study adds is that contrary to previous beliefs, there is no relationship between the duration of illness, and particularly vomiting, on the severity of metabolic derangements in these children. This seems counter-intuitive, and perhaps the more important factor is not the duration of vomiting, but whether the infants are able to keep down an adequate amount of fluids – i.e. The severity of dehydration. Unfortunately there was insufficient data in the patient charts to enable analysis of trends between dehydration, vomiting and abnormal laboratory results. Only 43/205 (21%) charts mentioned hydration status, however 42% of the patients whose charts noted dehydration (36/205) had metabolic alkalosis at presentation, compared to 44% with normal CO2. Were there a higher proportion of males in this group than other populations? Why was delayed presentation (60days vomiting in one case) not associated with more severe illness?? An insufficient number of charts contained information about hydration status – is this more relevant for laboratory abnormalities than days of vomiting? This entry was posted in Critical Appraisal on April 13, 2013 by PEMLit.